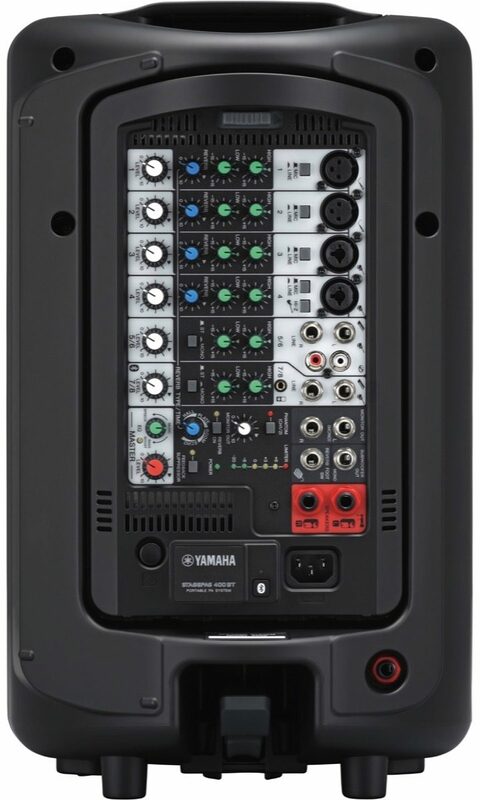 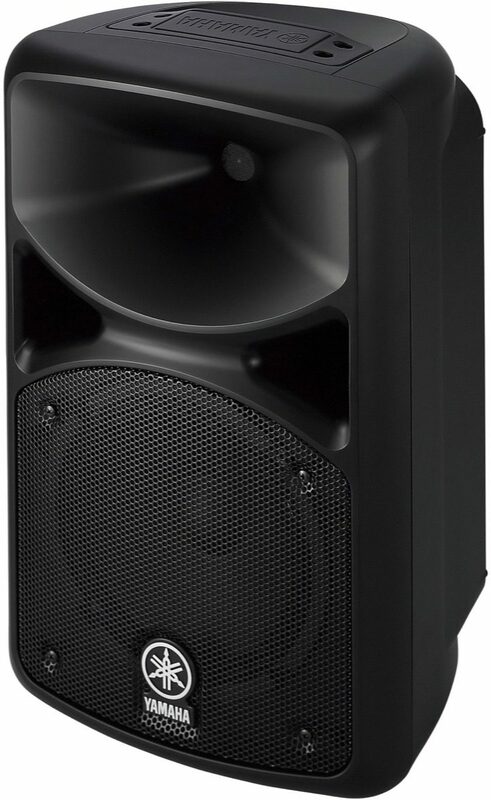 Compact and light enough to carry by hand, Yamaha STAGEPAS 400BT is an all in one PA system that you can take literally anywhere. 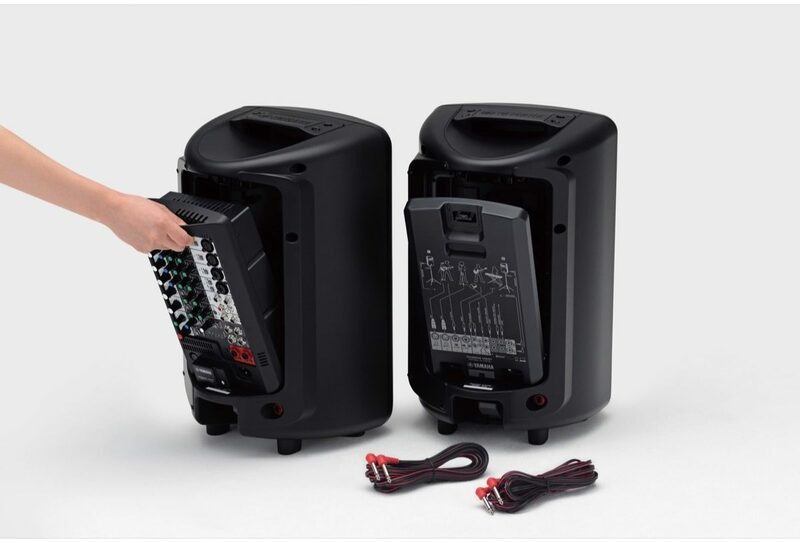 The two lightweight speakers and a detachable mixer, along with a pair of speaker cables and a power cord combine into a high performance, compact package that provides remarkable portability. 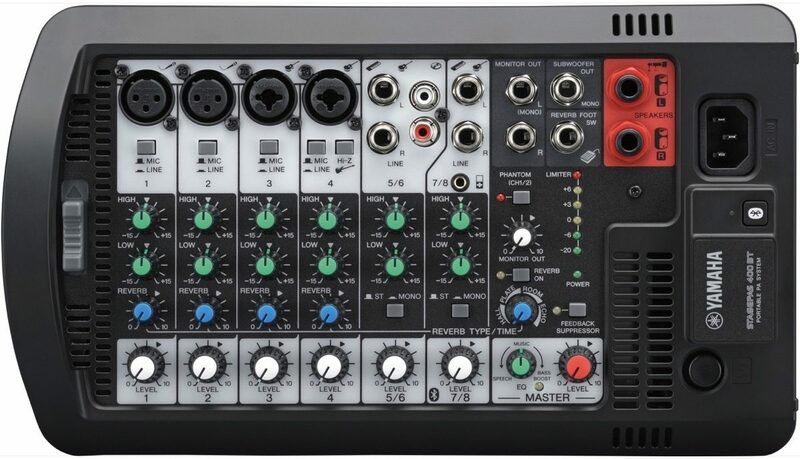 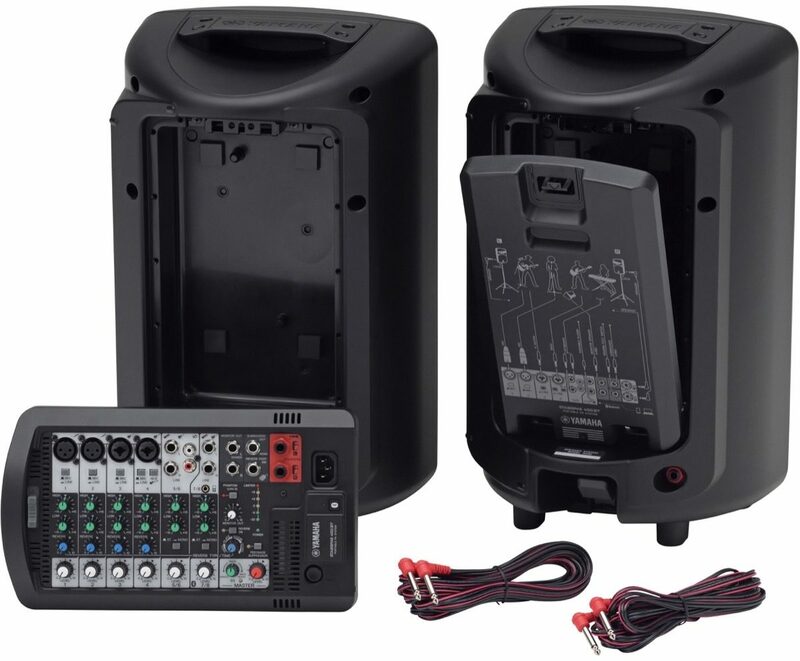 With its intuitive, simple design STAGEPAS 400BT can be set up and ready to go in seconds. 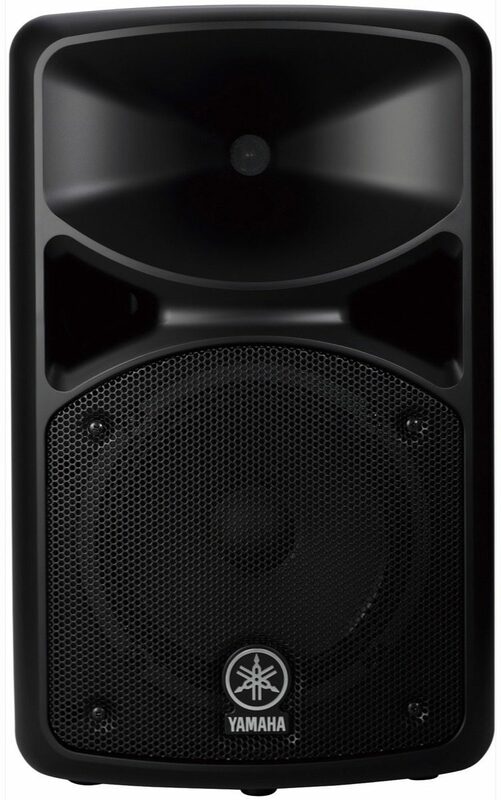 Even users with no PA operation experience will be able to produce high-quality sound in under a minute. 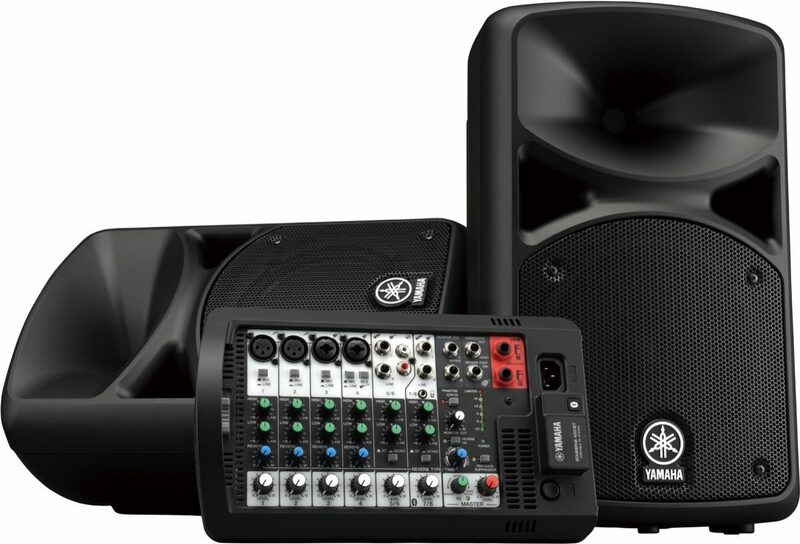 Flexible enough to be used in a truly impressive range of environments and applications, STAGEPAS 400BT can be set up in a variety of PA and monitoring configurations.